Ellip Family Trust Cowshed was completed in late 2014. 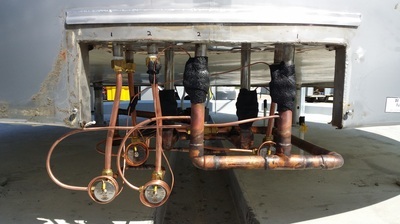 Russell Corfield Refrigeration and Electrical was a major contributor, carrying out electrical work to the cowshed and also refrigeration work for Fonterra requirements. We installed in the cowshed fluorescent light fittings and LED yard lights. The Ellip family Trust cowshed is completely off grid. 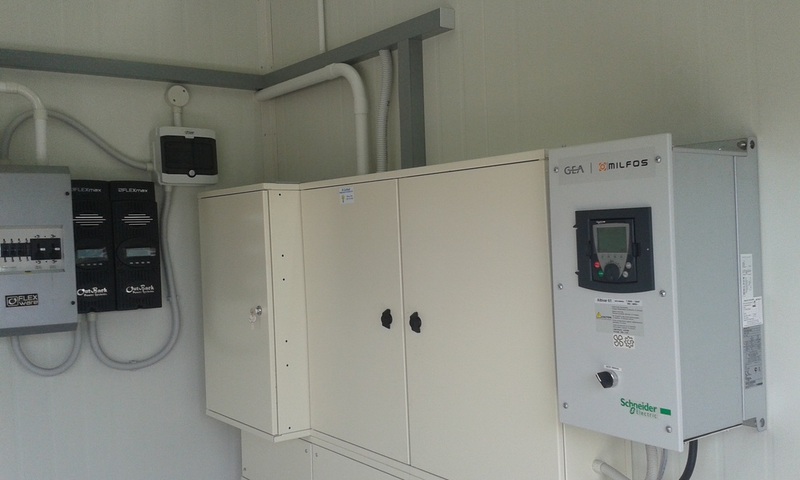 The main power comes from a 45KVA 3phase diesel generator and has stand by power from two 3KW outback single phase inverters powered by 8x 300W solar panels and 16x 6V DC batteries. The outback inverter controls the vat refrigeration unit/vat temperature control/vat stirrer and vat wash pump. 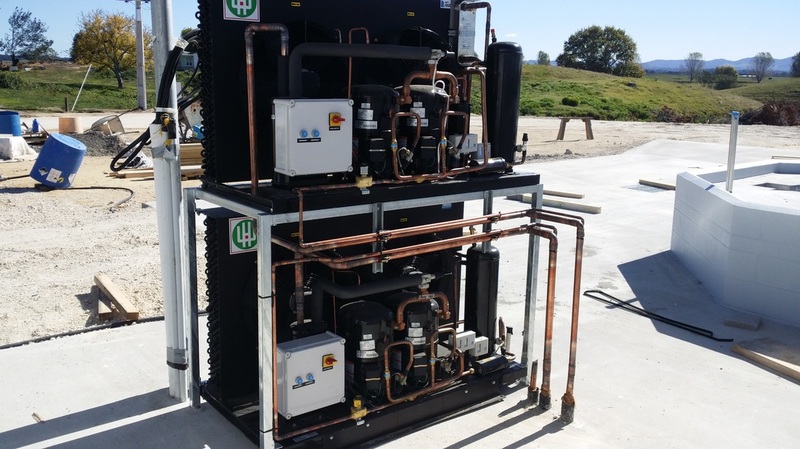 When the vat wash temperature controller or chiller unit controls require the main vat refrigeration unit to turn on the main 45KVA generator auto starts to supply power to the chiller unit. A Milfos control system was installed by Think Water Bay of Plenty in conjunction with Russell Corfield Refrigeration and Electrical. 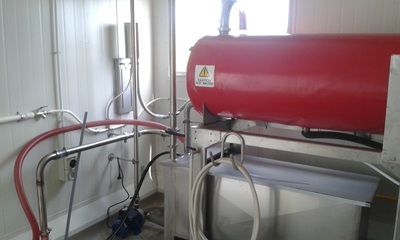 The Milfos system controls the vaccum pump/milk pump/cooler pump and pulsators. 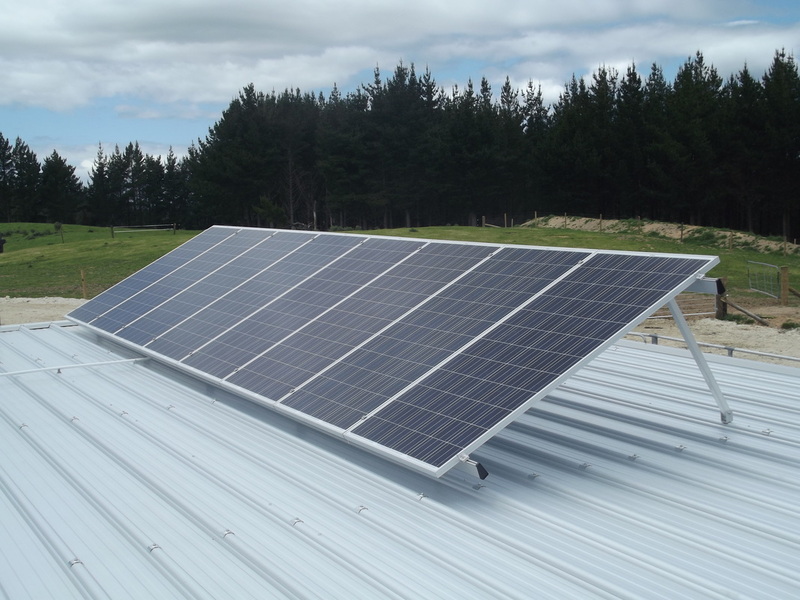 Roger McCosh approached us to carry out a project for his new farm and had pretty specific objectives. - Design of unit was important to him because of intended location. 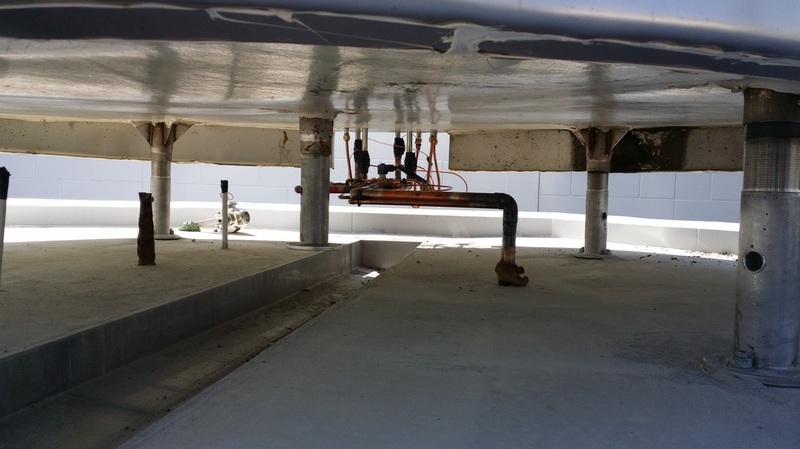 - Sufficient kilowatts in main vat refrigerator needed to meet any future milk cooling compliance requirements. - A separate vat and unit to both cool calf milk/colostrum milk when required as well as a storage tank to provide additional cooling of his milk before entering into the vat. - Ability to capture heat generated by the units and use it to assist with cost savings for hot water heating. All work was carried out and completed within timelines as requested by Roger. Data logged results for the cooling was well within the guidelines as required for both now and the future.